Marilyn Vine in her Vaccine page endeavors to bring breaking news on the vaccination front. I receive information from many varied sources and inevitably they all seem to tell the same story i.e. children harmed, paralyzed, infertile, blind and even death. I find it very sad reading some of their stories. I read of outbreaks of whooping cough and polio in areas where the majority of the people are vaccinated and you would have to ask why is this occurring if they are so effective. Throughout this website I continually urge my readers to do their own research and not from the mainstream health professionals but widen the scope and go outside the circle so that you find “real” information and not “fake news” designed to hoodwink you into doing something that if you had known the full story you never would have contemplated. Who is responsible for the measles outbreak? Multiple Measles Outbreaks Blamed On Anti-Vaxxers, But They All Have This One Thing In Common. As of February 6, 2019 the county—which sits just north of the border from Portland, Oregon—has tallied 50 confirmed cases and 11 suspected cases of measles since January 1. YouTube has been removed. One Conversation – SILENCED,” Part 3 – Dr. Robert Sears answers the question “Are vaccines safe?”. He talks about the DTap and babies who cry for 3 hours or more. My own son back in the 60’s cried non-stop for 24 hours. I walked the floor with him on my shoulder and his arm would swell and go bright red and he would scream and then it would subside and he would fall asleep on my shoulder. He wouldn’t sleep for longer than 15-20 minutes and it would all happen again. I did not know that this was not normal and never reported it. I am fortunate that he did not react to the next two shots. This YouTube has also been removed. The censorship is incredible. Children’s Health Defense dated 5 February 2019 published this article “The Rotavirus Vaccine: A Case Study in Government Corruption and Malfeasance”. Here is an excerpt from the article and you need to read the article in full to understand the total corruption and read the number of babies who required surgery for intussusception with one of them dying. Marilyn also suggests that you read Kent Heckenlively and Judy Mikovits, PHD book entitled “Plague – One Scientist’s Intrepid Search for the truth about Human Retroviruses and Chronic Fatigue Syndrome (ME/CFS), Autism and other Diseases”. ISBN 978-1-51071394-9. NaturalNews dated 3 February 2019 published this article “Former UFC fighter mourns death of son who was KILLED by MMR vaccine”. Here is an excerpt and please read the whole article. 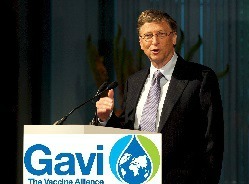 Bill Gates & the “Elite” avoid vaccinating their children! 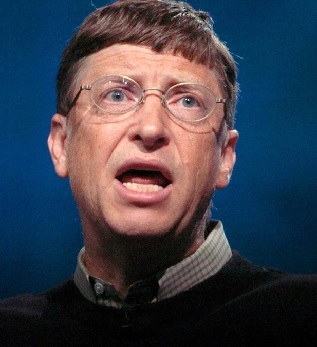 News Target dated 22 January 2019 published this eye opening article “Bill Gates and the World’s Elite DO NOT VACCINATE their own children… and for good reason.” Here is an excerpt. Please make sure you read it all before submitting your baby for vaccination. “The absolute worst medical decision a parent of a newborn child can make is to allow doctors and nurses to severely compromise the immune system of their infant by injecting him or her with known neurotoxins, foreign proteins, and carcinogens like mercury, formaldehyde, monkey kidney cells, pig viruses, and genetically modified cells from human abortions. That’s why billionaire Bill Gates, the infamous and insidious population control freak and Microsoft mogul, refused to vaccinate his own children when they were growing up, even while he promotes toxic jabs all over the world, especially in third world countries. Dr Horowitz has put together a pdf document providing an enormous amount of links covering Mercury Poisoning and Vaccination Autism. I am pleased to be able to assist Dr Horowitz in exposing this information. Please click this link to access the document. 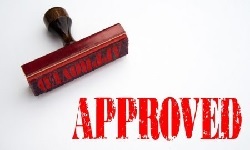 This document is so important that it will remain above the bookmark on this page and all new information will be posted directly underneath. Bookmark Vaccine page to see new information comes to hand. The Truth About Cancer published this article on 4 January 2019 “FDA Approves VAXELIS Combo Vaccine Despite Infant Mortality”. Here is an excerpt and readers are urged to read the complete article. Australia makes it possible for drones to deliver vaccines to remote villages in Vanuatu. Please click this link to read full article. How long before we hear of the Nivan children suffering side effects in a country that is ill equipped to cope with such contingencies. Not a word in the media about his flu shot shortly before he died!! The CDC is one of the most evil, dishonest and dangerous institutions to ever exist on our planet. It espouses toxic medical interventions that maim and kill children on a routine basis, and it censors any science that might bring the truth to light. NaturalNews dated 29 November 2018 provided this YouTube. The following is a quote taken from the YouTube shown below. Quote from a “Distinguished” UCLA Professor admits vaccinated people contract and spread…. Pertussis and Pertussis vaccines; mistakes made during a 112 year odyssey and what some of those mistakes bode for the future. During the 20th century, B. pertussis was extensively studied in animal model systems and many “toxins” and protective antigens were described. DTaP vaccines were developed and put into general use in the USA in 1997. During the last 13 years, major pertussis epidemics have occurred in the USA due to deficiencies in DTaP vaccines. Two of the deficiencies are the small number of antigens and the type of cellular immune response. The small number of antigens leads to linked-epitope suppression. The YouTube has been removed. Click this link to listen to the YouTube. Kennedy News and Views published this artcle “Vaccines Induce Bizarre Anti-Social Behaviour in Sheep” and written by Celeste McGovern, Ghost Ship Media. Please make sure you read this article – yes it is sheep – but you need to read it to understand what researchers found under post mortem of these animals. One would have to have their head in the sand if they thought that if our children or even old people were autopsied after death that they would find anything different to what was found in the sheep! 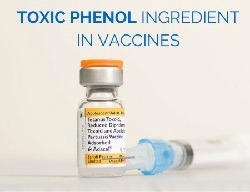 “Public health agencies have been aware of problems with aluminum adjuvants since at least 2002 when a public health symposium overseen by Mayo Clinic vaccine researcher Gregory Poland, heard French doctors describe a new disease, Macrophagic Myofasciitis (MMF) which developed after intramuscular injection with vaccines containing aluminum. 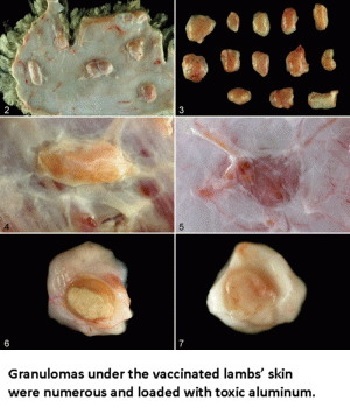 Now, a new study from Spanish veterinary researchers shows just seven injections of vaccines or the aluminum salt (used in human vaccines as well) caused sheep to begin aggressively biting the wool from other sheep, pacing restlessly and overeating. Orthomolecular Medicine News Service, November 2, 2017 published this article “VACCINE ADJUVANTS AND EXCIPIENTS - Know what else comes through the needle? This is an important read if you are to understand the role of excipients and what excipients are actually used and in what quantities. Please take the time to read if you are wishing to learn more about the vaccination process. Will you support these lawyers? Click this link to read what they are doing and find out how you can support them. Activist Post dated 7 December 2016 provides information on a 2016 study that has been pulled from publication. Here is an excerpt and here you can read the full article. ´The just-ended presidential election cycle in the USA has something very much in common with vaccine ‘science’, or so it seems: Both produce results that are questioned, contentious and even manipulated with varying degrees of culpability. Strong words! 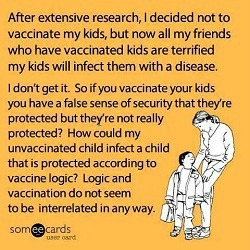 Maybe, but factual to the point of proof as in the scientific journal article that was “unpublished” after vaccine acolytes raised all sorts of hell about it and the study’s results proving that “Vaccinated children were significantly less likely than the unvaccinated to have been diagnosed with chickenpox and pertussis, but significantly more likely to have been diagnosed with pneumonia, otitis media, allergies and NDDs (defined as Autism Spectrum Disorder, Attention Deficit Hyperactivity Disorder, and/or a learning disability). How low will the Australian Federal Government stoop? According to a report by the Guardian, the Nursing and Midwifery Board of Australia has announced a fatwa of jihad against nurses and midwives who discourage vaccination or are critical of vaccines. The board is taking this opportunity to make its expectations about providing advice on vaccinations clear to registered nurses, enrolled nurses and midwives. The board expects all registered nurses, enrolled nurses and midwives to use the best available evidence in making practice decisions. Of course, when the board says “best available evidence” it means vaccine fanaticism and unquestioning adherence to faith-based science. Under Australian law, promoting false, misleading or deceptive information will be prosecuted by the Australian health practitioner regulation agency. The NMBA is specifically targeting nurses and midwives who question the safety or effectiveness of vaccination via social media. The statement goes even further by urging members of the public to report nurses or midwives who are doing so – even on social media. Interview with Dane Wigington and Del Bigtree. Vaxxed.com provides a live screening so you can learn for yourself. 30 May 2016. Click this link to read the article. 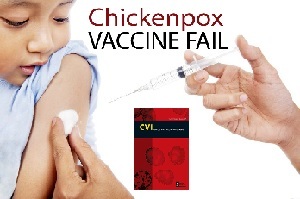 Reported complications from the chicken pox immunization include shock, seizures, encephalitis/brain inflammation, blood disorder, Guillain-Barre syndrome, and death. 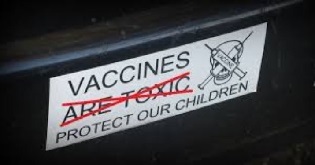 As of September 1, 2015, 122 claims were filed in the federal Vaccine Injury Compensation Program for serious injuries and deaths following the chicken pox vaccination, including eight deaths. Please click this link to read how in the past chicken pox was considered to be a very mild disease and did not have the complications outlined above. “Phenol, chemically known as carbolic acid, is a white, volatile crystal solid. It is a mildly acidic, water-soluble chemical that requires safe handling due its ability to cause chemical burns. Phenol is produced both “naturally” as well as synthetically. In its natural form, phenol was initially found in coal tar. It is also present naturally in human and animal wastes as well as in some foods. Vaccines turning our immune system against us! Why Are Parents Concerned About Vaccines? 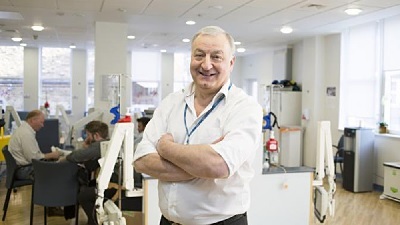 Please click this link to view a great many of Dr Humphries YouTubes. Most Important! PreventDisease on 19 May 2015 asks 25 very important and pertinent questions. Just look at question 1. I am sure if you asked your doctor why it was necessary vaccinate your day old baby against a sexually transmitted disease that he would not be able to give you a logical or honest answer. Please click this link and read all the questions before allowing you or your family to be subjected to vaccination. If it is THEN WHY IS THIS HAPPENING! NaturalNews on 24 April 2015 provides information that is unfolding on the immunization front in California. It refers to the passing a Bill SB277. From the information provided in this article it would appear to me that low socio economic families are being targeted for mandatory vaccination. 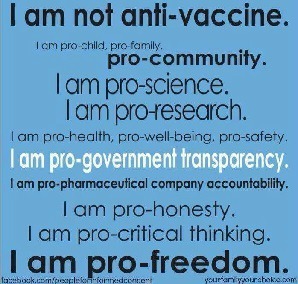 My question is: do the illnesses these immunizations prevent ONLY ATTACK PEOPLE FROM LOW SOCIO ECONOMIC BACKGROUNDS? California seems to think so! Here is an excerpt from the article and I suggest you click the link and read the full story and START ASKING QUESTIONS. “Which brings us back to the California measure. As part of the "compromise" with vaccine choice advocates, SB 277 was revised to provide parents with the "choice" of choosing to keep their kids vaccine-free if they opted for an alternative form of primary education, as in homeschooling and private schools. NaturalNews on 20 April 2015 brings information on brain damaged children in the United Kingdom receiving Ninety million pounds from the United Kingdom Government due to damage caused by the Swine flu vaccination! Click here to read more about this. Click this link to read an Excipient Table which unfortunately is only up to date to 2013. Currently in February 2015 the international news is that people who have been twice vaccinated for the MMR (measles, mumps and rubella) are actually contracting measles and not only that but they are infecting other twice-vaccinated people along with people, who have not been vaccinated. Sadly the media is not releasing this information out to the general public and they believe that it is non-vaccinated people causing the problem. Wanting to penalize Australian families! Click this link and save the url to post onto your social media pages and spread the truth! Click this link to read Dr Suzanne Humphries interview on 10 April 2015 blowing the lid on vaccination. Dr. Suzanne Humphries: They admit that. And guess what? Something about the measles vaccine, that I found really startling in my recent research, is that the vaccine failures that we're seeing today were actually all predicted in our medical literature. There was a Dr. David Levy, in 1984, who predicted the problems that were to come, and that was during the period where there was just the single vaccine. But then, there's a Dr. Heffernan, from 2009, who did his own predictions based on very sophisticated mathematical analyses during a two-vaccine period, and what he said, verbatim, is, “we predict that after a long disease-free period, the introduction of infection will lead to far larger epidemics than that predicted by standard models.” And even more compelling, he said that, “large-scale epidemics can arise with the first substantial epidemic not arising until 52 years after the vaccination program has begun,” well, guess what year 52 years is? 2015. So, now, can you see why the CDC is staying up late at night and having panic attacks? Currently the following pages are on this website covering this topic. NaturalHealth365 on 5 April 2015 brings information on Park City, Utah area in the United States with regards to 19 children proving positive for whooping cough. The alarming information here is THAT ALL THESE CHILDREN HAVE BEEN VACCINATED WITH THE PERTUSSIS IMMUNIZATION FOR WHOOPING COUGH AND THAT ALL THEIR VACCINATIONS WERE UP TO DATE. Currently here in Australia authorities are pushing to have our babies vaccinated with Pertussis. Will Australia experience the same as Park City if this happens? “Despite being blocked from providing testimony before the Oregon legislature about the vital need to preserve both informed consent and exemption options for "mandatory" vaccinations, Dr. Andrew Wakefield was able to witness a major health freedom victory in the state of Oregon, where efforts by Democratic Senator Elizabeth Steiner Hayward to snuff parents' medical freedom from the state's books failed miserably. Click this link to read the article and this link to access the table. I hope you have better success at accessing this Program. My computer keeps giving me a timed out message for the past couple of days. Even doing a google search and using other urls gave me the same reaction. 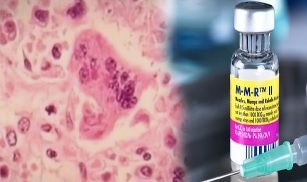 "The growth medium for rubella is Minimum Essential Medium (MEM) [a buffered salt solution containing vitamins and amino acids and supplemented with fetal bovine serum] containing recombinant human albumin and neomycin. Sorbitol and hydrolyzed gelatin stabilizer are added to the individual virus harvests [emphasis added]." This is what is printed as the "description" on the LIVE measles, mumps and rubella virus vaccine insert. Do you dare see for yourself? What is recombinant human albumin and what happens when you inject it into muscle tissue of a different human? “In analyzing the pandemic flu fatalities of the early 20th century, Dr Karen M. Starko hypothesized that taking aspirin, not the flu, contributed to the high incidence and severity of not only viral pathology, but the bacterial infections seen in many as complications, and even death. Naturally, the question to ask is … why? If the American people survive the mandatory vaccination of all their children and possibly their adults, which is now under consideration as well, will there be enough people left in America to provide the information that their Government’s mandatory vaccination scheme killed millions and millions of people like aspirin did! The article goes on to say the following and also gives you the opportunity to join a Vaccine World Summit. “The realization that it was actually aspirin that killed millions of people in the early part of the 20th century has led many to draw the correlation between the supposed safety of aspirin and the mandates for administration of unknown, untested vaccines with dangerous adjuvants, like aluminum – which are also promoted as ‘safe.’ Ignoring the well-documented risks of vaccinations, many fear, could also cost millions of deaths. What are your going to do to prevent this from happening? "...failed to disclose that its mumps vaccination was not as effective as Merck represented, (ii) used improper testing techniques, (iii) manipulated testing methodology, (iv) abandoned undesirable test results, (v) falsified test data, (vi) failed to adequately investigate and report the diminished efficacy of its mumps vaccination, (vii) falsely verified that each manufacturing lot of mumps V would be as effective as identified in the labeling, (viii) falsely certified the accuracy of applications filed with the FDA, (ix) falsely certified compliance with the terms of the CDC purchase contract, (x) engaged in the fraud and concealment describe herein for the purpose of illegally monopolizing the U.S. market for mumps V, (xi) mislabeled, misbranded, and falsely certified its mumps V, and (xii) engaged in the other acts described herein to conceal the diminished efficacy of the vaccine the government was purchasing." These are the people YOU trust to provide you with safe vaccines. When you realise the fraud that is being perpetrated you realise that every time you vaccinate your child you put them at risk! Is WHO violating Human Rights in Developing Countries? “It is a recognized fact that the developing world has been used by the World Health Organization as a vaccine laboratory for decades. This has been proven in data and vaccine studies dating back as far as the 1970s. To read the full article click here. It is not surprising to see the following person involved! “In December 2012, in the small village of Gouro, Chad, Africa, situated on the edge of the Sahara Desert, five hundred children were locked into their school and threatened that if they did not agree to being force-vaccinated with a meningitis A, they would receive no further education. 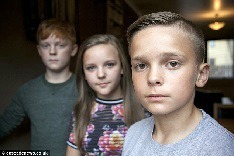 These children were vaccinated without their parents' knowledge. This was an unlicensed product still going through the third and fourth phases of testing. Is this where all our problems started from? GreenMedia on 23 February 2015 brings a most comprehensive and interesting article on “Plague: Brought to you with the best of intentions.” It takes us back to the 1930’s and the commencement of autism and chronic fatigue syndrome and when you read and understand what has gone on and never been disclosed to the public – it makes you realize how important it is FOR YOU and ONLY YOU to make sure you keep your immune system functioning well and stay well away from vaccines! Please take the time to read and understand the history of yellow fever and polio vaccines. VacTruth dated 26 February 2015 brings the harrowing story from Matthew’s mother. PLEASE TAKE THE TIME TO READ THIS HEART BREAKING STORY AND FIND OUT WHAT HAPPENED TO HER INFANT SON. “Research shows that people vaccinated with live viruses such as chicken pox, influenza, shingles, mumps, measles and rubella (MMR) can shed the virus for weeks or months – potentially infecting both vaccinated and unvaccinated persons. Please click here to learn more of this and then go to this link and read what has been uncovered about using live human cancer tumors in vaccination and has been approved to be able to do this. It is important that you read this article as it covers the current controversy over the MMR vaccination and the measles outbreak. Click this link to learn more. NaturalNews dated 19 February 2015 advise that measles was actually on the decline before a measles vaccination was formulated. So why are parents being “pushed” or “harassed” into having their children immunized for a disease that was actually on the decline especially when recent revelations show that it is the twice vaccinated children who are spreading the disease. Click here for more information. Click this link to learn more about this scandal. 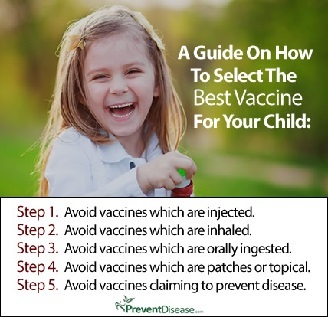 Prevent Disease on 13 February 2014 speaks about the battle that parents have with Big Pharma to have them acknowledge the side effect of immunizations that have disabled their children. Please click this link to learn more. 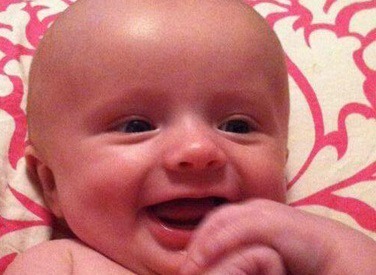 Babies – the most vulnerable people apart from the elderly – and they are to be used as guinea pigs! NaturalNews on 3 January 2014 provides this disturbing news that PaxVax has submitted an application to begin international trials of a novel oral cholera vaccination that contains live, genetically modified bacteria. Vac Truth reports that this new immunization is to be tested on more than 1,000 individuals many of them being young children and is to take place in Australia. NaturalNews on 27 December 2013 report that yet another researcher has been caught faking research and that the whole industry is riddled with fraudulent scientific research. Please read this article to learn more. Marilyn Vine would appreciate people passing on the information provided in this website so that many more people may be informed of the harm that is being perpetrated on them and their families.